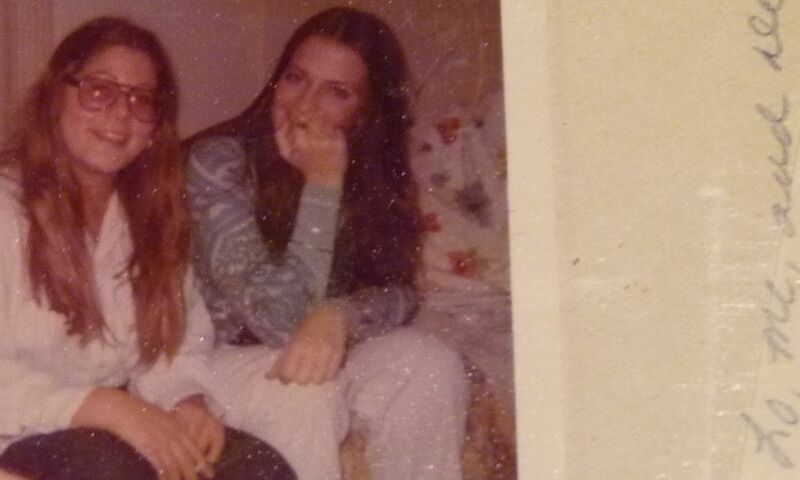 Julie (left) and Lois (right), in the ’70s. Today puts Julie and me into the four-month anniversary of our blogging collaboration. We are riding a tide counter to that conventional-wisdom wave that cautions friends against becoming business partners. We think we’ve made the perfect match. What makes it work is how different we are – different skills (I play with words, Julie points, shoots, and paints); different temperaments (Julie is super organized, I love a mess); different likes (Julie is a bit of a food-fussbudget, I’ve eaten days-old soggy Cheez Doodles that were left out overnight and were stuck together); different worries (she does, I don’t); and different viewpoints (she’s old, I’m not). So please excuse the indulgence of our posting a picture of the two of us, as teens, sitting in Julie’s childhood bedroom. We mean for it to be a testament to all women, and the incalculable value of enduring female friendships. Girlfriends. And thanks to all our contributors, fans, and followers (our guy friends, too), for your writing and reading. Great picture. And I enjoy the blog. Even if I do fall into the category “guy friends.” JS — you are a super photographer. BTW, it is a pain in the neck to comment on the blog in the blog. (registration, etc.) Hopefully you will get this. Dwight. Thank you, Dwight! It means a lot to us to get a thumbs up from you – who is among our oldest ( meaning longest, most enduring) guy friends. Thanks for the heads-up on commenting. We’ve been hearing this a lot. Will fix soon! Congratulations to you both. I enjoy reading this every day. I have really enjoyed your blog. Lois, you are beyond adorable in this picture.